Welcome to Jeffrey W. Kern! I was born and raised in and around the suburbs of Milwaukee Wisconsin. 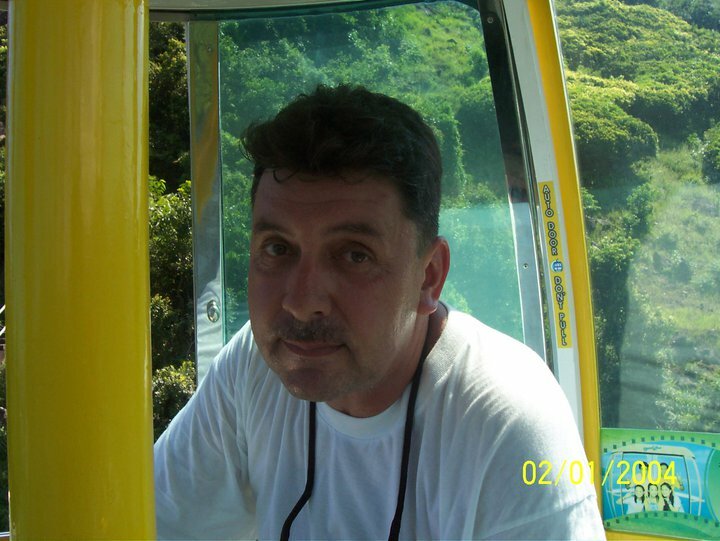 I then spent 20 years in the United States Marine Corps serving all around the world. I am now semi-retired and live in a small rice farming village in Thailand. I like all kinds of movies, sports and anything that has to do with the beach and water. I have two dogs both toy Dobermans. My favorite color is black (a bit strange but true). My greatest joy is golf. I love to play on any course, anywhere, any time as long as there are a couple of cold beverages involved. It all started in 2008. I had just returned from three years in Iraq and I was eager to get back to my golf game. The problem was that after so long my golf wasn’t cooperating. I bought a popular how-to golf book in hopes of getting back to the basics but the book left me more confused than when I started. After much research and studying I became a certified professional golf instructor and certified clubfitter. At that point I realized just how easy it is to learn the game and decided to share my knowledge with hopes that many others could quickly and easily learn the game and have fun doing it. I am definitely an organized outliner. I always want to make sure that every detail is not only accurate but can also be backed up by fact. I would have to say Stephen Leather. He kind of broke out of his genre to write “Private dancer”. The book was so factual that I know exactly where he was writing about. I felt as if I lived the story as opposed to reading it. By far the best book I have ever read! I only have one book at the moment but it will always be my favorite because it was my first. My “characters” are actually players. All of the people in my book were 100% beginner golfers with absolutely no experience. This goes back to the how-to book that I read early on. The players were all professionals and when you are just starting out you will not look like that. When you cannot emulate them you become discouraged. When you see my golfers you know that is exactly what you look like but it gets better with time and practice. My best experience was getting published because I never thought that it would become a reality. The worst part of writing is trying to get reviews. If you have other genres of books there always seems to be someone willing to read it and write a review. When you have a how-to golf book people treat it like a plague. I think this is because people think they have to go through the whole process of learning the game before they can write a review. All they really need to do is read the book and make an honest judgment. Oh, believe me, Jeff, we writers ALL have trouble getting reviews! Share the best/worst writing advice you ever got. The best advice I ever got was simply to keep pushing until I got it done. That helped a lot as the process was sometimes so frustrating that you just want to quit. I think the worst advice was to go with a publisher. Looking back on it I could have saved a lot of money and still achieved the same results. My current book is called “Golf Made Easy! A Backward Approach to Learning Golf…Or Is It?” The basics of golf are presented with putting being taught first. This goes against all traditional methods of teaching, where driving is the first thing taught. But since half the game of golf is putting, why not learn it first? Plus, it’s fun to be able to put the ball in the hole on your very first lesson! I am currently working on my second book which will be titled “Breaking Par” it will be about tips to improve your game from the beginner level through the intermediate level. I sincerely hope that everyone who wants to learn the great game of golf has the opportunity to do so. My book does make it fun and easy. Most importantly it works! “Golf Made Easy! 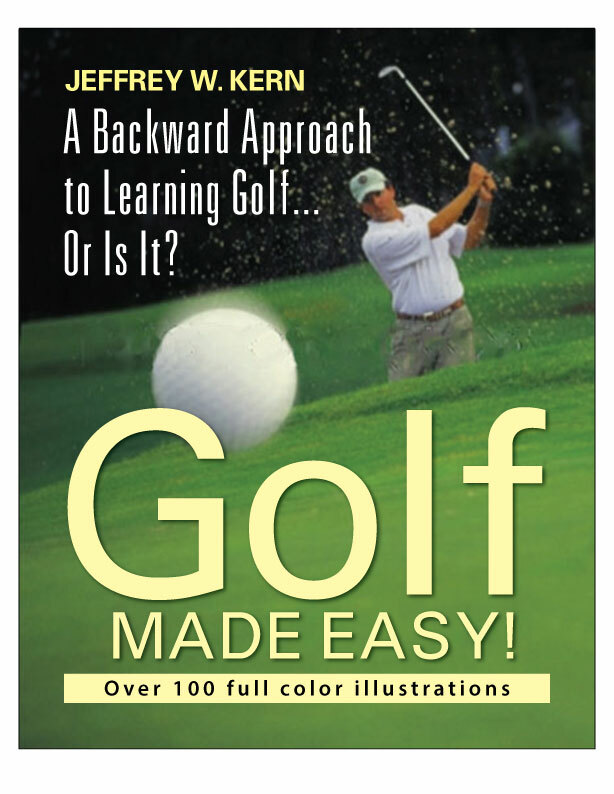 A Backward Approach to Learning Golf…Or Is It?” is available in print and digital formats at the following sites. Jeff, thank you for taking time to visit with us today. Hopefully, you can still make it back to the links in time for a round of golf today!